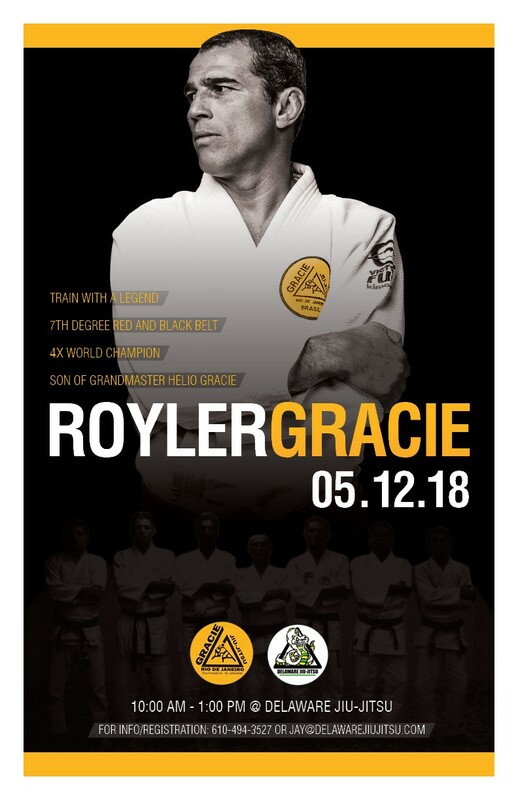 7th degree red/black belt Master Royler Gracie returned to Delaware Jiujitsu on Saturday May 12th, 2018 for a three hour seminar. Royler has been visiting Delaware Jiujitsu for nearly a decade. 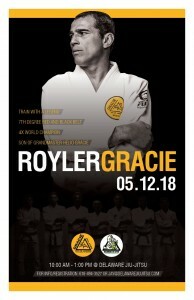 He is a 4x World Jiujitsu Champion, 3x ADCC Champion and multiple time Pan American Champion, son of Grandmaster Helio Gracie, and head of Gracie Humaita. The seminar was amazing and enjoyed by all, with over 30 people on the mat.